Marketing is a broad industry. It presents various ways for business owners to communicate their brand, promote their products and services, and ensure that they remain competitive compared to others in the marketplace. Search Engine Optimization is a great and effective marketing strategy that organizations should consider. A number of businesses are yet to jump into using all the plans that search engines provide because they are do not recognize the power in this giant. Despite all the criticism from experts and influencers, the thing is, SEO has a high potential of standing the test of time. 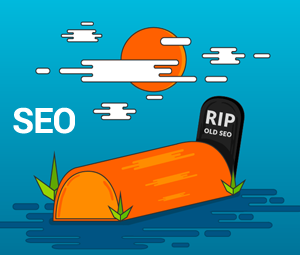 Contrary to the opinion that SEO will soon die off, it will not. Here are some reasons that experts say that why SEO will remain relevant for years to come. Regardless of where you are, you are going to use the internet in one way or another. booking, the internet is the best place to get acquainted with anything and everything. With that in mind, you have a basic understanding of why SEO will continue to reign. Statistics also dictate that most people’s first web experience is the search engine. Initially, businesses would market their businesses through paid advertisements such as pop up ads. On the other hand, not many people love those things. As much as it provides an avenue to promote items and services, the strategy might be ineffective. With Google and other search engines doing their best to put their visitors in mind, SEO offers better advertising opportunities than the ads. Practical ways that override the annoying paid ads include link building and affiliate marketing. Nowadays, before you purchase anything, you consult the internet. We are in the information age, so companies are doing their best to ensure that they provide answers in every way possible. Note that Google considers a set of guidelines before they place you at the top position of the search engine results page. Besides that, your website and the quality of content that you publish matters. Statistics conclude that most buyers will always get to understand a product before they can order any item from an e-commerce site. For you to appear on the first page of the results page, you have to customize your content in a way that it offers answers to all web visitors’ queries. Initially, content writers had to stuff all the keywords they could think of, which was annoying for readers who wanted to benefit after reading. Nonetheless, search engines such as Google changed the algorithms so they would penalize anyone who would stuff keywords into their content; additionally, those rules focus on giving users rich content that is informative to the user. Search engines also ensure that they change algorithms constantly, which is something that we will continue to see- according to many experts. Firms that are yet to discover the power in SEO should consult experts such as houston seo agency. That will reduce the hustle that most people take to get the first-page position on the results page. Note that searchers trust website that appears on the first page.